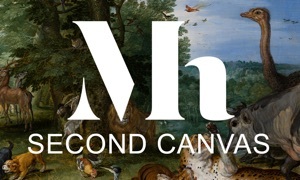 Second Canvas Museo del Prado Masterpieces is your tool for exploring the masterpieces of Western painting like never before. Discover, navigate, learn, teach and share from your iPad or iPhone, with the option of hooking it up to your TV screen. 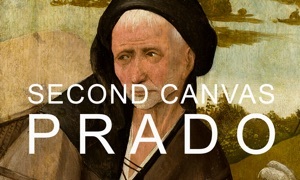 Created by the Museo del Prado and Madpixel, Second Canvas Museo del Prado Masterpieces, allows you to explore the 14 masterpieces from the museum’s collection, including Las Meninas by Velázquez, The Garden of Earthly Delights by Bosch and Self-Portrait by Dürer, in gigapixel resolution. You can also interact with them, choose your favorite detail and share it with your friends on social networks. • The Third of May, 1808 in Madrid. Francisco de Goya. • Jacob’s Dream. José de Ribera. • Las Meninas or The Family of Philip IV. Diego Velázquez. • The Nobleman with his Hand on his Chest. El Greco. • Crucifixion. Juan de Flandes. • The Annunciation. Fra Angelico. • Equestrian Portrait of Charles V at Mühlberg. Titian. • Immaculate Conception. Giovanni Battista Tiepolo. • Descent from the Cross. Roger van der Weyden. • The Garden of Earthly Delights. Hieronymus Bosch. • The Three Graces. Peter Paul Rubens. • Judith at the Banquet of Holofernes. Rembrandt. You have also available the Prado’s copy of the Mona Lisa, by the workshop of Leonardo da Vinci, as in-app purchase. • Extra material for each masterpiece, links to additional information, audioguide and sign language guide. • Super-zoom to discover hidden details. • X-ray and ultraviolet vision to see the drawing under the painting for featured works. • Discover amazing stories about each painting, detail by detail. • Tell your own stories on social networks, selecting the details you want to share in ultra-high resolution. • Connect your iPad/iPhone to your TV at home (via AirPlay, AppleTV or cable) or projector at school to see the masterpieces in full screen while interacting with your touch device. • Twitter integration allows you to read the opinions of other users within the app itself, which is why each masterpiece has its own hashtag. • Share your experience, with images, on social networks and by email..
• Over 60 related works in HD that places each painting within its historical context and in relation to other works by the artist and his contemporaries. • The Adoration of the Magi Triptych. • Table of the Seven Deadly Sins. • The Garden of Earthly Delights Triptych (closed): The Third Day of Creation. • The Garden of Earthly Delights Triptych (already included in Second Canvas Museo del Prado Masterpieces).